Here's a review copy label for Holt & Rinehart's publication of No Cheering in the Press Box, edited by Jerome Holtzman, who passed away last week at age 81. Holtzman was a long-time baseball writer for Chicago newspapers and was baseball's first historian. He also introduced a new statistic to baseball--the Save. This book was a review copy and contained the label and also a press release about the book. A favored icon of many booksellers, the owl, is the only graphic for this publisher's review copy ephemera. From a 1937 college textbook, here is a label, or sticker, from a university Honor Court. The University of Louisiana State (LSU) Honor Court to be exact. Looking like an over-sized bookplate, it is affixed to the front pastedown endpaper (inside cover) of the book. The apparent intent of this label was to track the transactions of this book between all buyers and sellers. It is also apparent that any such attempts to do so with this particular book were unsuccessful. The label is blank. Honor Systems and Honor Courts exist, in general, to deal with students who lie, cheat or steal. The history of such institutions in this country (America) goes back to the founding fathers. Thomas Jefferson created the first Honor System--for his alma mater, the College of William and Mary. Honor Systems and Honor Courts are still around today--some are taken seriously, others not. The primary use for these courts is to deal with cheating and other moral infractions. So why was such a label needed for a textbook? Did LSU have a book theft problem on campus during the 1930s? The rules on this label, and subsequent warnings for not following them, are laid out in no uncertain terms. Vendor and purchaser will sign their names and indicate the date of the transaction. The vendor has the further obligation of presenting the book for student identification. Not sure what that means exactly. Present to whom? The student? Surely, he or she has already ID'd the book before purchasing it. They've already signed the label, so they had to be holding the book, right? Any infraction of the above-mentioned rules, or mutilation of this sticker, shall subject one to an Honor Court investigation with such penalty as may suit the discretion of the Honor Court. Sounds pretty serious, this signature business. And the "penalty as may suit discretion of the Honor Court" left the punishment wide open. Probation, expulsion, public ridicule... How severe a punishment should be meted out for failing to sign a label? Bookstores and students are warned not to buy a book carrying irregular signatures. How would a student know if another student's signature was irregular? How many students pay close attention to their fellow students' signatures? And did an LSU student ever report a textbook to LSU's Honor Court on suspicion of an irregular signature? I'd bet against it. This whole transaction-tracking and signature analysis stuff must have seemed trivial to the owner of the textbook with this LSU Honor Court label. He didn't bother with it. In fact, the label appears to have been an afterthought to the transaction. It's evident by the writing on the front endpaper that the Honor Court label was affixed after the student had purchased the book and written his name, a couple of addresses, and two different phone numbers. The Honor Court could have thrown the book at this guy. Think of E.P. Dutton and you probably think big publishing company. But this major publishing house got its start as a retail bookseller. Edward Payson Dutton started the company in Boston, as a retail bookseller, in 1852. 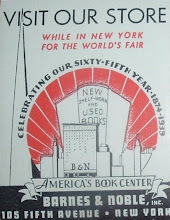 In 1864, Dutton branched out to New York (in the building depicted by the billhead graphic), where they also started publishing books. Their focus in the beginning was religious titles. If the billhead above is any indication, it appears that religious titles were still a strong suit into the 1870s. 1864 was a busy year for Dutton. As mentioned, he opened the new branch in New York and introduced a publishing segment to the business. 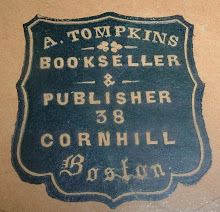 But back in Boston he also purchased Ticknor & Field's retail business, which was located in the Old Corner Bookstore. There, the mantle of a fine literary tradition passed to Dutton. Ticknor & Fields had occupied the building for some 20 years and had published the works of authors such as Henry Wadsworth Longfellow, Harriet Beecher Stow, Nathaniel Hawthorne, Ralph Waldo Emerson, John Greenleaf Whittier, Oliver Wendell Holmes, Charles Dickens and Louisa May Alcott. Dutton's stewardship of the Old Corner Bookstore was short lived. After four years, they sold the retail business and left Boston. Bookselling and publishing would, for the next 15 years, take place in the building shown here on the billhead of a typical day's transaction in 1871--theology and religious books sold to a Rev. Collins. 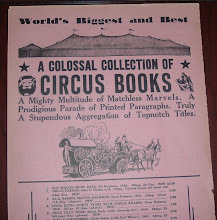 From the same book (Corneille's Polyeucte) that contained the Scofield Thayer bookplate (previous entry on this blog), here is a nice old book shop trade label affixed to the front cover. As the title implies, bookseller L. Barma (of whom, I can find nothing) sold classical literature, among other things. Having learned a bit about the book's owner, Scofield Thayer, in the previous post, this was a fitting purchase for him because of his academic interests in philosophy and the classics in his post-graduate studies. A bit of chronology will help date the bookseller and his trade label. Thayer matriculated Harvard in 1913. After graduation, he went to Oxford, which would be about 1917 or 1918. Thayer likely journeyed to France around that time and found this book shop in Nice. So I think the label dates circa 1918. An interesting side note: The book was published by Hachette in Paris, 1906. So Thayer, with all his money, bought a used book from a rather inexpensive series. There must have been something about this book and/or the series it belonged to. Perhaps it had to do more with its convenient pocket size. This bookplate is significant for its designer and owner. Sidney L. Smith (pictured left) was a well-known engraver of the late 19th and early 20th centuries whose prolific work with bookplates warranted the book, Bookplates by Sidney L. Smith with a Check-list of the Bookplates, by Gardner Teall, published by Alfred Fowler, 1921. The bookplate's owner, Scofield Thayer, was a poet, editor, publisher, and important art collector. He came from wealth, was educated at Harvard and Oxford, and his literary lineage included an uncle, Ernest Thayer, who was famous for his beloved baseball poem, Casey at the Bat. But Thayer was probably best known for his art collection and for transforming The Dial, with his wealthy inheritance, into a premiere publication for literature and the arts in the 1920s. Much of the art featured in the magazine was from Thayer's personal collection, which is now in the Metropolitan Museum of Art in New York. Thayer associated with a Who's Who of literary figures from his era, including E.E. Cummings, who Thayer commissioned to write the poem Epithalamion for his marriage to Elaine Orr. In short time, the marriage soured, and Cummings didn't help matters by having an affair and fathering a child with Thayer's wife. I would suppose that finally put the kibosh on the nuptials, not to mention the friendship with Cummings. Poor Thayer began to suffer mental problems and by 1926 had resigned as editor of The Dial. 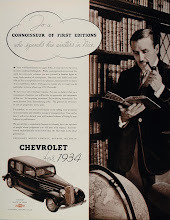 By 1929, The Dial ceased publication, having lost its financial support. Thayer , though ill, lived another 50-something years in the care of family and various institutions. His time in the spotlight was brief, but what an impact he made. Publisher's review label Jerome Holtzman, R.I.P.